WASHINGTON, D.C. (March 27, 2019) — (RealEstateRama) — Robert D. Broeksmit, CMB, President and CEO of the Mortgage Bankers Association (MBA), testified today before the Senate Committee on Banking, Housing, and Urban Affairs at a hearing on the Chairman’s Housing Reform Outline. Below is Mr. Broeksmit’s oral testimony, as prepared for delivery. “Chairman Crapo, Ranking Member Brown, and members of the committee, thank you for the opportunity to testify on behalf of the Mortgage Bankers Association. “My over 30 years of experience in real estate finance gives me a unique appreciation for the complexity of the housing finance system, as well as the importance of ensuring that it operates in accordance with a well-calibrated regulatory framework. “On behalf of MBA, I commend Chairman Crapo, and his staff, for developing and releasing the outline being discussed today. I would also like to thank Senator Warner and others on the Committee for their previous efforts on this topic. The housing finance system requires structural reforms that will ensure a stable, liquid secondary market to support a vibrant, diverse primary market, and comprehensive legislation is essential for such reforms. MBA applauds the Committee for its leadership on this issue. “The 2008 financial crisis exposed fundamental problems in the GSEs’ business models, as well as weaknesses in the regulatory framework under OFHEO. Ten years later, we have still not determined how or if the GSEs will be permanently reformed. Only by enacting comprehensive legislative reform can we provide the confidence necessary for a stable, sustainable, and inclusive mortgage market. Reform should proceed without delay. — Ongoing secondary market liquidity for multi-family housing. 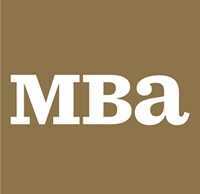 “Many of the priorities in the Chairman’s outline align with MBA’s principles, as described in my written testimony. “In particular, the outline recognizes the need for competition in the secondary market with privately-owned, well-regulated entities standing before a full faith and credit federal guarantee. Such a guarantee is a critical determinant of investor demand, and should apply to securities in both the single-family and multifamily markets. “The outline proposes that the explicit guarantee be provided and managed by Ginnie Mae. This structure is viable, as Ginnie Mae is designed to perform this function and has a proven history of ensuring payments on government-guaranteed securities. “The use of a Ginnie Mae guaranty, however, should not be confused with the use of the Ginnie Mae securitization infrastructure and processes-that is, a system in which lenders issue securities rather than deliver loans to guarantors. “Based on extensive feedback from our members, MBA believes a system that is structured around guarantors minimizes transition risks, and ensures equal access to the secondary market for a diverse set of lenders – consistent with Chairman Crapo’s principles. Market access by lenders of all types and sizes provides tangible benefits for homebuyers through broader competition and availability of credit in all markets at all times. “In the multifamily market, reform efforts should preserve those elements of the GSEs’ multifamily businesses that have been successful. Any capital framework under which guarantors operate should seek to produce comparable treatment of varying executions and Credit Risk Transfer structures. “One of the greatest challenges to enacting comprehensive reform has been conflicting views on how best to ensure widespread availability of affordable housing, particularly to low- to moderate-income households. Two factors that affect affordability in many areas of the country are low inventory and home prices that are rising faster than wages. “In order to best promote sustainable housing for underserved segments of the population, any future system should generate the necessary funding to address these access and affordability challenges. The outline could be enhanced with quantitative and qualitative evaluations of the secondary market guarantors. “Another benefit of enacting legislation is cementing regulatory reforms that have already taken place over the last decade. The Chairman’s outline seeks to accomplish this in a number of areas such as a prohibition on volume-based pricing discounts, ongoing use of credit risk transfers, and significantly smaller investment portfolios. If the GSEs were to exit conservatorship without corresponding legislation, these reforms could be weakened or even reversed. Mr. Broeksmit’s full written testimony can be found here.